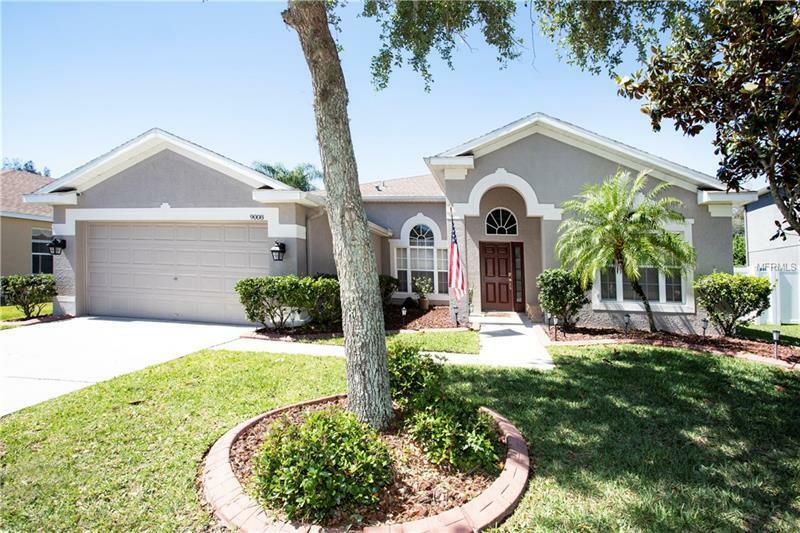 "River Chase" A Private Secluded Northwest Tampa Community located on the tranquil Double Branch Creek.....This spacious 2475 sq ft one story block constructed "Mini-Pool home" offers 4-Bedrooms 3-full bathrooms and "Nice Size 120 sq ft Office" at entrance / foyer and 2 car garage. This 2004 Beazer built home is the preferred One Story "Great Room Plan" has snack bar, open spacious kitchen, nook area and "Great Room" all over looking the screened pool area under partial hip roof. In addition, this "River Chase" home has "formal living room" and "formal dinning room" that are both nicely finished and have wood / laminate flooring. This is a Peaceful and Private Cul-De-Sac Community that has great and easy access to "Double Branch Creek" from your own property! Enjoy the Wildlife, Manatees Fishing or just Kayak or boating out to Old Tampa bay! This is a perfect North West Tampa location only 20 Minutes to Tampa International Airport and easy 5-10 minute drive to Publix Plaza and all the other "Oldsmar" Shops Services Restaurants and local community parks and recreation!